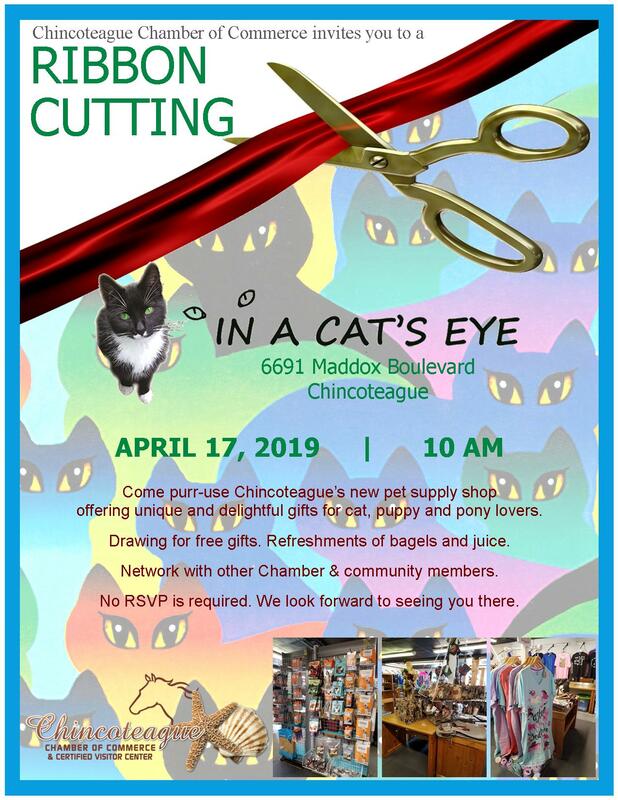 Join the Chincoteague Chamber of Commerce for a Ribbon Cutting at In A Cat’s Eye, 6691 Maddox Boulevard, Chincoteague Island on April 17, 2019 at 10am. 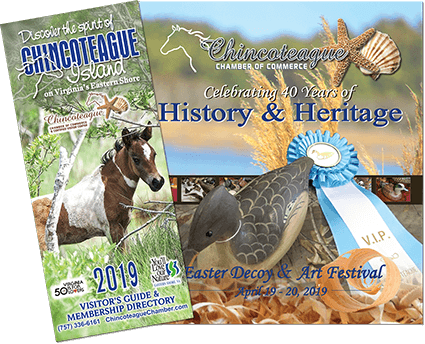 Come purr-use Chincoteague’s new pet supply shop offering unique and delightful gifts for cat, puppy and pony lovers. There will be a drawing for free gifts and refreshments of bagels and juice. Network with chamber and community members. This event is open to the public and no RSVP required. Learn more about In A Cat’s Eye.